1. I am a firm believer that every woman should own at least one pair of leopard print shoes! Seriously! Of course, I do already have a couple of pairs, however, they are looking fairly worn & are needing replacement. So I'll just keep my eye peeled for the perfect pair(s), but these two examples are looking promising thus far. 2. My vest desires actually began late last Winter. By then, however, all that was really available wasn't quite what I wanted. I really adore this J.Crew vest (currently on back order)...it's incredibly popular in the Blog world & I love the versatility it provides. However, for me it would be a total splurge, so I continue to keep my eye out for something similar in hopes that something less expensive would satisfy the "want". Also, these vests by Old Navy are actually quite striking for a casual vest. In person, they provide just the right amount of sheen, zipper detail, & shape to provide a chic look. 3. Camo pants are hot, hot, hot again this year. I do have a pair from last year, however, the color is very dark so again, I'm just continuing to keep my eye out for the perfect pair. Do you have a favorite pair that I should look into? 4. Who doesn't love Ankle Booties this time of year?! I'm currently looking to fill the gap in the color wheel with something similar in color to these. Hello, aren't those peep toe booties fabulous?! 5. I've determined that I need a Big Girl Weekender bag. Just something that's the right size for a quick weekend getaway, or night on the town with the Husband. It's time to retire the duffel bag & these two examples are right up my alley. So there you have it - the items I'm allowing myself to purchase during my spending freeze. Are you like me...laying down the law, but adding amendments so I don't feel guilty about breaking the law...?? Haha, oh the games we play! 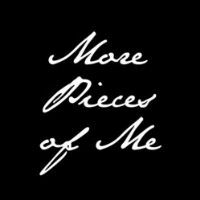 I'm with you - I am not really trying to put myself on a spending freeze, but I've taken a look at my closet and decided there are some areas that I do NOT need to expand (shirts, especially Portofino shirts...I'm looking at you). But I do have a few items on my wishlist - like those exact Steve madden leopard flats you showed! And I'm willing to expand my closet in those areas but wait until I find the exact right pieces at the right price. I really like those peep toe booties! SO CUTE! I have a major vest obsession and want one in every color haha, its a problem!! Good luck with your freeze. I have thought about that... Love all your picks. Those Wanted booties are a great alternative to the ones I was wearing in Montreal! They look great! I've been trying to curb my spending too so I wish you good luck! All these things are great pieces. Now I want to go wear my camo pants!